Victor Novikov. Waltz on the Theme by M.Blanter "In the Town's Park"
Georgy Shenderyov. Improvisation on the them by K.Weil "Mack the Knife"
Video demo: Improvisation on the theme by K.Weil "Mack the Knife". 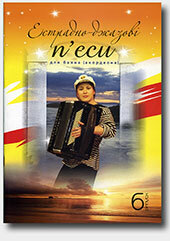 Arranged for bayan (accordion) by Georgy Shenderyov.